It's a McNichols so it's low-hanging fruit, but...Whu? It looks like St. Michael is holding Joan of Arc down in the flames. .... and poor St Joan is utterly terrified, despite the archangel's presence. Hardly facing her fate with equanimity, is she? 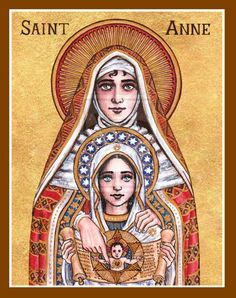 That image is not an Orthodox icon. At best, it is simply a piece of wishful thinking. At worst, it promotes the "two lungs" idea, which is foreign to Orthodoxy. Let's burn you at the stake and see how much equanimity you have. Icons portray heavenly realities and spiritual perfection. Proper icons of martyr-saints which show their martyrdom always show them as dispassionate. The hymnography of martyr-saints also speaks of their bravery, fortitude, and their anticipation of their heavenly reward for their refusal to renounce their faith. Many are known to have prayed for their tormentors, asking God to forgive them, as Christ did for those who crucified Him. I looked at that icon before I read what you wrote and I was trying to figure out what was schlock about it. Fair enough. I thought you were mocking a 16 year-old girl for being a tad disconcerted over being burned alive. 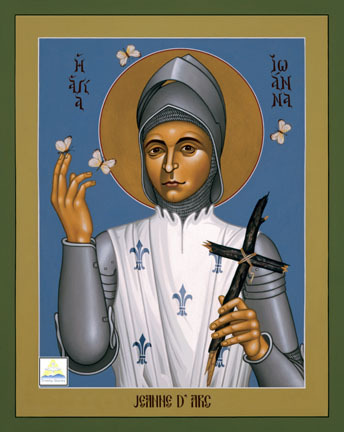 My mockery was not at all for the Maid of Orleans, but for the artist who painted this schlock, and who is presumptuous enough to hold himself out as an "authority on iconography". Ah, a favorite of the lamentable Prosopon "school". This is simply the analog of the uncanonical Paternity imagery, and both are unacceptable. 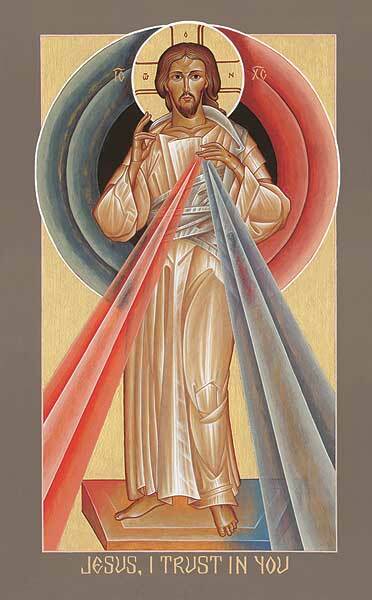 Yet another "icon" of the Divine Mercy imagery, which is not in Orthodox tradition. White butterflies followed Joan wherever she rode with her unfurled banner. An English soldier made a crude cross of sticks and handed it to her shortly before she was burned. This nineteen-year-old martyr died rather than compromise the clear path shown by her conscience. In this she has been an inspiration for many in our own day. No matter who he paints, they have similar facial features and dead eyes. Also, no offense to anybody who is, but I'm actually surprised Lentz isn't a pacifist who would scorn Joan of Arc. It seems like it should come with the territory for someone like him. What's with the lasers shooting out of his fingers? 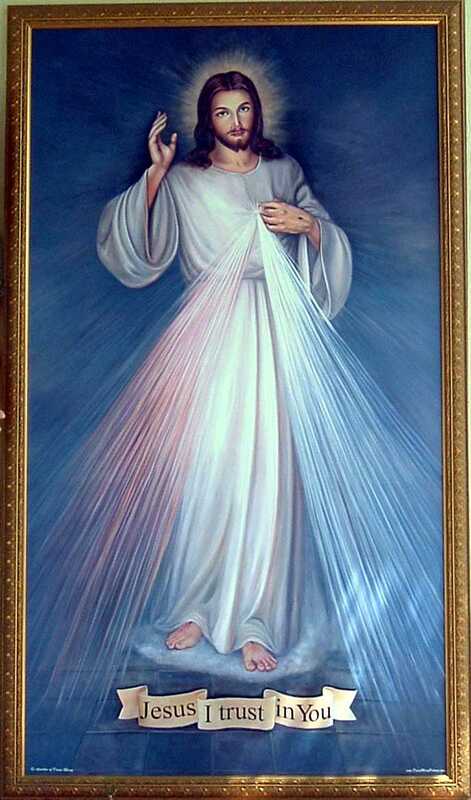 The rays, according to Sister Faustina Kowalska who had the vision, represent the blood and water which flowed from the side of Christ. Here's the Wikipedia article about it. It's supposed to be light shining out from the wound in His side. I see this differently. It is a small picture, but it is her fingertips touching her chin to hold her head upright so that she can directly face what is ahead of her (her executioners, the crowd, God, I do not know). Her eyebrows are unnatural, if you have seen this technique before, I am curious. To me they suggest contrition. I can see how it could be interpreted that way. And of course, there are icons that indicate sorrow (The Bridegroom, Mother Weep Not for Me). What is the "two lungs" idea? Are there gradations in its interpretation or is it precise? I want to know if I am a foreigner. Also, when was the idea invented? I am guessing it was not 1967, but I could be wrong. It is the fallacious idea that the Orthodox Church is not the Church en toto but that together the Orthodox Church and the Latin Church are the two halves - or "two lungs" - of a separated Church. It is an idea as old as it is false, but the first time I heard the phrase was in 1988 when Pope John Paul II said in reference to Orthodoxy and the Latin Church, "Europe has two lungs, it will never breathe easily until it uses both of them". And then the Branch Theory is the same thing except it also throws the Anglicans (and the Lutherans?) into the mix. Thanks. I often read posts about the two lungs but I always seem to forget what was written by the next day if not sooner. In your definition, the Roman Catholic church is also not a complete church. It wouldn't surprise me however that by their thinking, since they recognize the Sacraments of the Orthodox Catholic Church as valid, they are complete, whereas since we do not know if the Sacraments of the Roman Catholic are valid we are not complete. Do you have a problem with the term Sister Church? Just curious. Let us hope we do not run into Sacred Heart and Lungs icons. I personally usually reserve the appellation "sister church" for a church I can openly take communion in. IIRC a similar one was covered earlier in this thead. Matrioshka doll. It's not the artistic style of this work that makes it schlock (even though the style has its own problems), but the content. It is theologically and doctrinally very off. Well there's a difference between "can" and "may". If I'm not mistaken, official Vatican policy is to allow EO and OO (and possible also ACOTE, although I'm not sure) to receive communion if they want to. Of course this policy is not reciprocated by the Orthodox, and you might end up in trouble with your own church if you do that and get found out. But that raises the question: if X is willing to commune Y, but Y is not willing to commune X, is there a schism between X and Y or not? Or is it like Schrodinger's ecclesiology with them being both in communion and out of communion at the same time? Or is it like Schrodinger's ecclesiology with them being both in communion and out of communion at the same time? Theology is not an exact science. 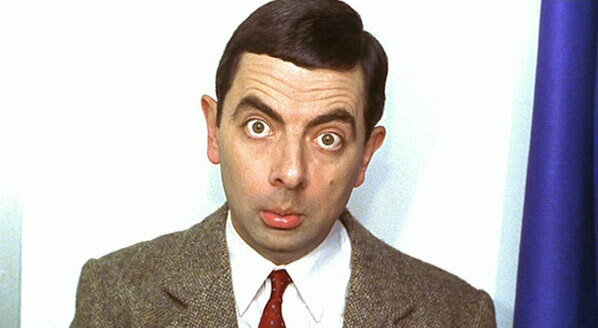 butterfly shmutterfly......i am MUCH more concerned with why she looks like Mr. Bean. I actually like the term. Related by birth, but conceivably estranged, that only dialog will resolve. it depends on how you view the church. For instance, I might consider Greek Orthodox a "sister church" even though I can't openly commune in her. Given the chance though, I wholeheartedly would commune with no problems to my conscience. OTOH, RCs, while can be considered "estranged sister" in comparison to my church and her dogmas, even though she may allow me to commune, my conscience wouldn't allow me to consider it. In your definition, the Roman Catholic church is also not a complete church. An astute observation, though I'm sure that if pressed one of our resident Roman Catholic apologists will be able to explain to us how the Latin Church can simultaneously be both the complete Church and the Western lung of a separated Church (that is, if we find one sympathetic to Pope John Paul's idea). Do you have a problem with the term Sister Church? Just curious. Like Mina, I'm more comfortable reserving the term "sister church" for a church with which my jurisdiction is in full and open communion. Thanks! I needed a chuckle this morning. You're right. That is their policy on all counts. EO, OO, and ACoE can freely approach the chalice in Roman Catholic churches. I've been invited myself a time or two. I'd say there is indeed a schism. A great many Protestant churches practice open communion and would freely welcome any "baptized Christian" from just about any jurisdiction, including the EO, the OO, the ACoE, the Latins, et cetera. That doesn't mean that any of us are in communion with them. 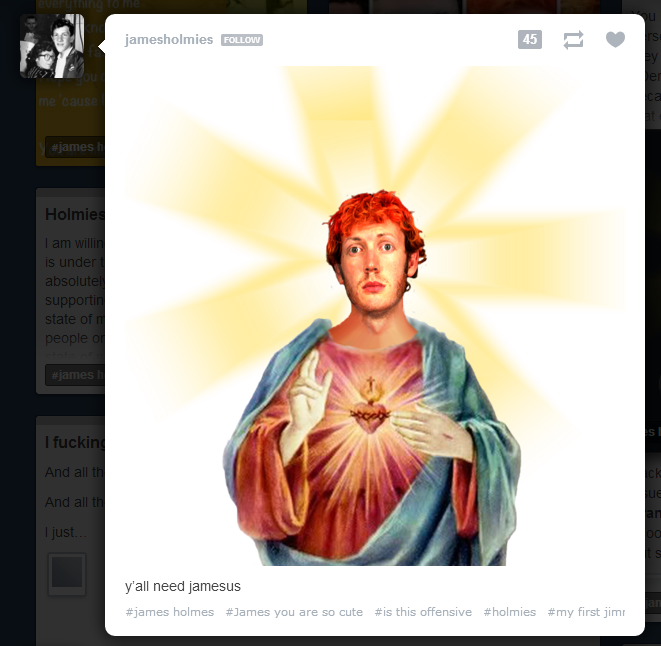 A product of the disturbing internet fandom known as the "Holmies", who admire Colorado theater shooter James Holmes. Why would someone make stuff like that? It looks the most correct out of all the shlock icons, but it is still wrong. Jesus with a handlebar mustache like that would be cool in real life, but that didn't happen, so it's not up to the writer to do that. There's also no towel, which is very odd if this was intended to be a "Not-Made-By-Hands" icon. The main problem here is He is smiling. A Christmas Eve Tweet from Ayatollah Khamenei. 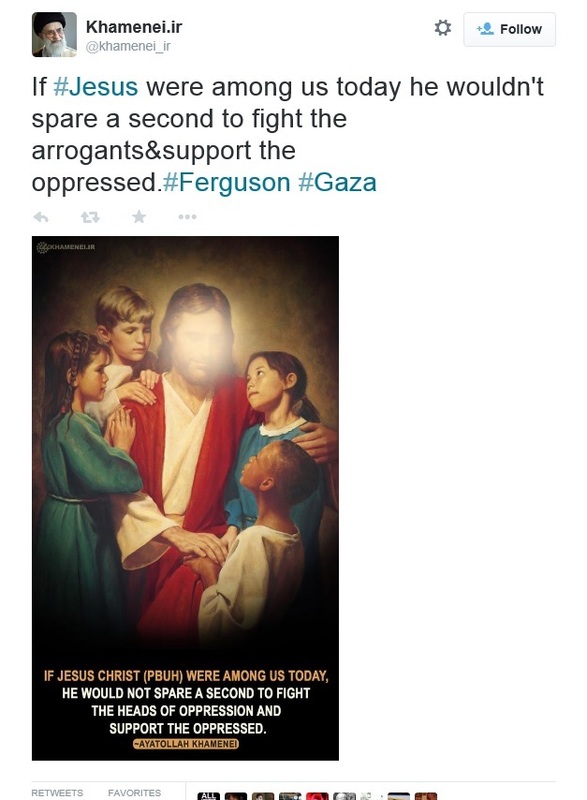 Notice how they blurred out Jesus' face.